You may have a Huawei phone in your bag or a Bosch dishwasher in your kitchen, but do you know how to pronounce the brand names correctly? 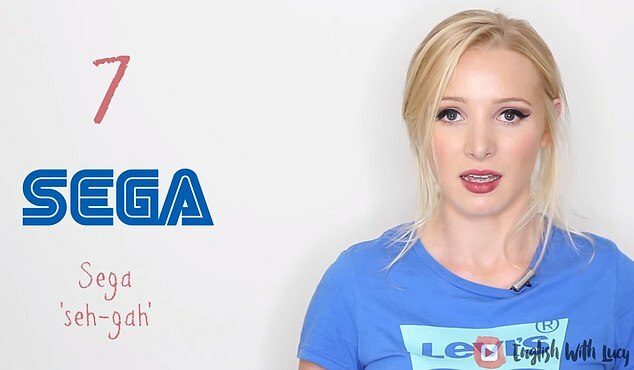 In her latest video, blogger and teacher Lucy Earl, who runs YouTube channel English with Lucy, revealed the household brand names she believes many people are probably getting wrong. 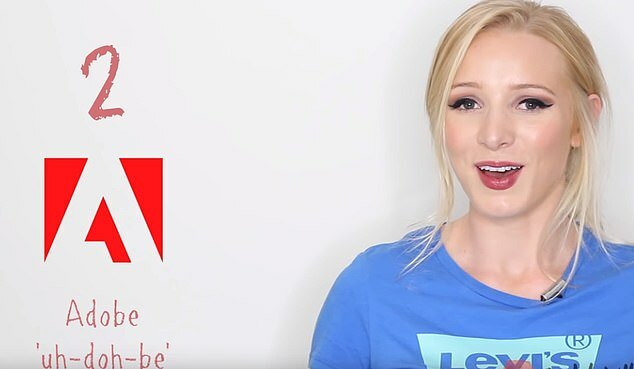 On her channel, which has had over 60 million views, the pronunciation expert started with Chinese brand Huawei, explaining that she's heard lots of 'different pronunciations', but reveals the proper way to say the brand is 'Huah-wey'. 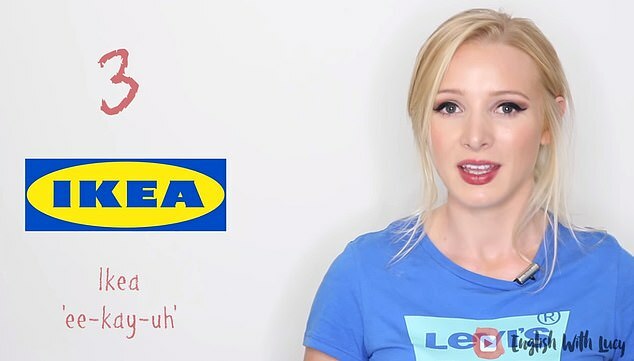 In the video that's had nearly 100,000k views she said that many Brits also get the name of Swiss furniture giant IKEA wrong too - pronouncing it 'Eye-kee-ah' instead of the correct version 'Ee-kay-uh'. 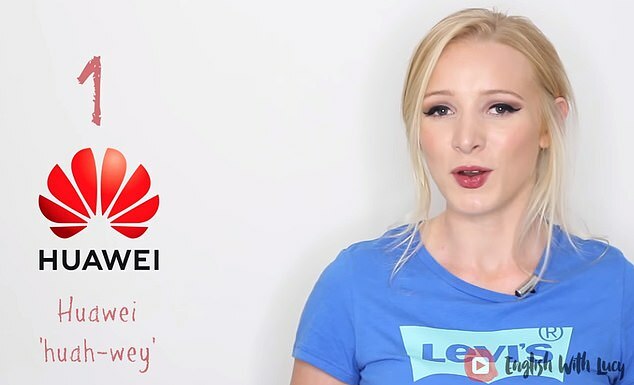 Lucy starts with Chinese brand Huawei, explaining that she's heard lots of 'different pronunciations', but reveals the proper way to say the brand is 'Huah-wey'. Have you been saying the name for software company Adobe all wrong? Despite beginning with an A, the software brand actually starts with an 'uh' sound and has a silent 'e' on the end. In the video that's had nearly 100,000k views she says that the name is pronounced 'uh-doh-be' and not 'Ad-o-bee'. The pronunciation of Swedish brand IKEA often trips people up, but it's Ee-kay-uh rather than Eye-kee-ah. 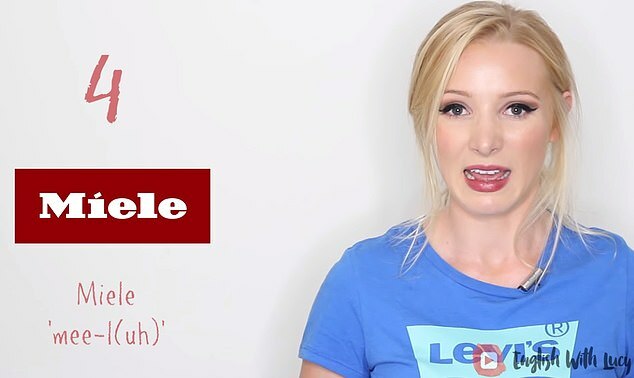 Lucy, who has had 60 million views on her video channel says that Brits always get the pronunciation wrong. Another hard one to pronounce is Miele - Lucy has heard 'lots of different pronunciations' for the Chinese brand but the correct way to say is is Mee-l(uh), not 'Me-la'. But she admitted to previously saying it wrong herself, pronouncing it 'meer-lay'. If you're lucky enough to own a Tag Heuer watch, then you want to be sure that you're saying the name of your expensive time piece correctly . She said the Swiss watch company is actually pronounced 'tag haw-yuh'. It's Bosch with a silent 'ch'. According to Lucy many of us are guilty of pronouncing brand names in a foreign language exactly as they're spelled. Lucy said that the home appliances company is merely just 'bosh'. The computer brand Asus is one of the more confusing brand names for people to get the hang of. Lucy admitted she herself was shocked to find out the right way to say it. 'It's actually pronounced "ei-zooss" not "a-sus",' she said. Some of us probably own a Samsung laptop of mobile phone - but are you pronouncing it right? 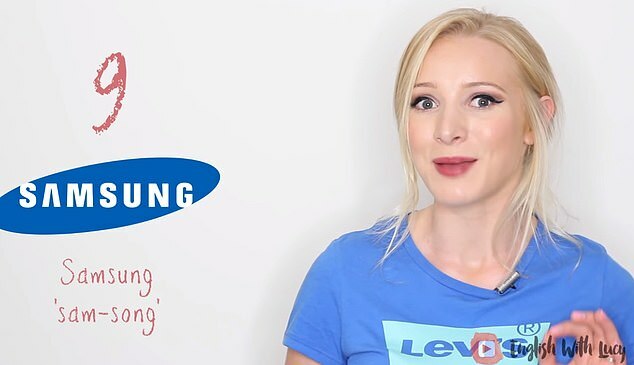 Lucy revealed that another one that that Brits get wrong is Samsung, which is actually pronounced "Sam-song", despite having a 'u' in the spelling. 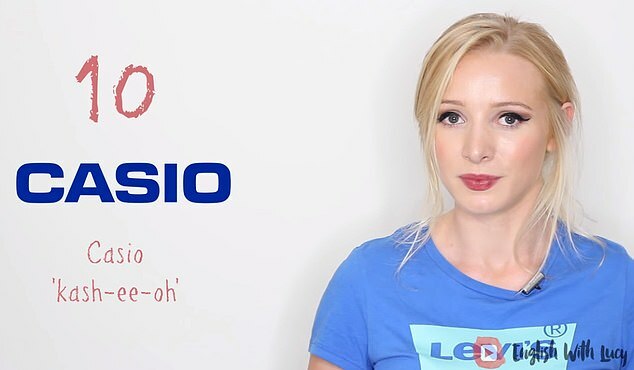 Another watch brand we may be saying wrong - even though she said most of us pronounce Casio just likes its written she said the Japanese electronics company is actually said 'Kash-ee-oh'. Last on her list was French brand Rolex, which actually has a rolling R to emphasis that the brand is French. The watch brand is actually pronounced '(r)o-lex' making it sound even more posh than it already is.